The largest share of home buyers are buying because of major life changes (new jobs, expanding families, etc.). 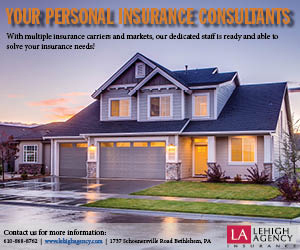 Whatever your situation, Realtors® understand their local markets and can negotiate on the buyer’s behalf, which is especially beneficial in competitive markets, like the Lehigh Valley. On the selling side, Realtors® help navigate the complex home selling process and have the experience to effectively prepare, position and price a home for sale. Homeowners who sell their homes on their own typically generate $60,000 less than homeowners who work with a Realtor®. The information available here will lead you to a trusted Realtor® and the resources needed to successfully buy or sell. The Greater Lehigh Valley REALTORS® is proud to also offer information on Fair Housing and a Preferred Vendor List that showcases companies and services required to make buying and selling real estate more convenient and affordable.